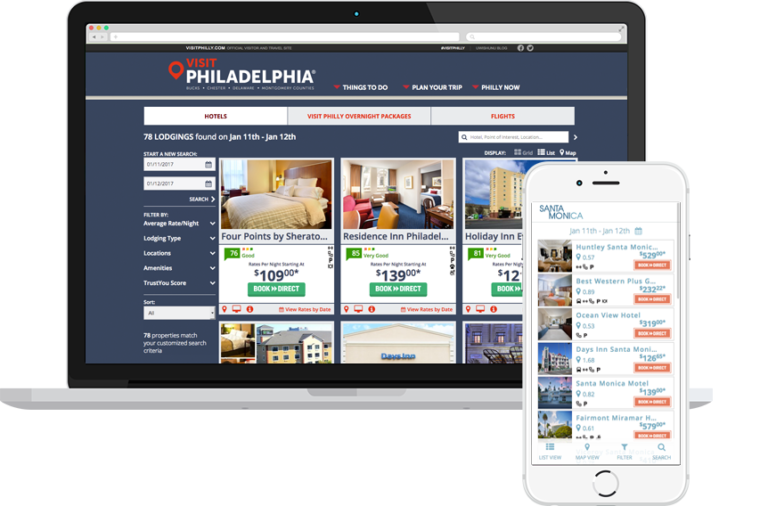 When embedded into a destination website, the white-labeled Book › Direct search widget enables visitors to enter their travel dates and search for accommodations that have availability. Website visitors can sort the custom, date-driven search results page by name and price; filter by locations, categories and amenities; and preview property locations on a local area map. Visitors can also shop for rates for up to one year in advance, with Book › Direct only a click away.